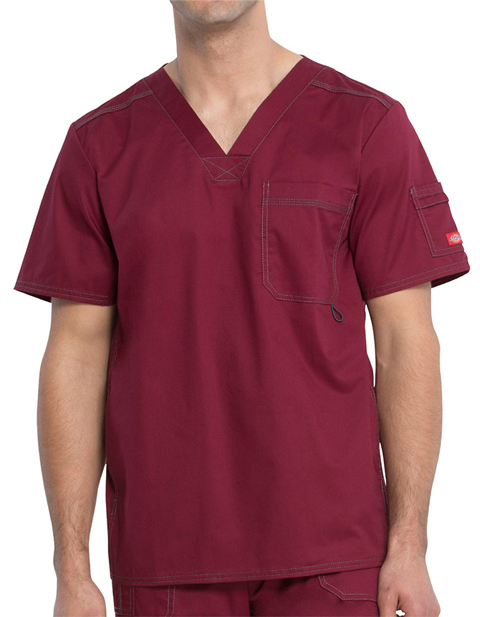 Multi-needle contrast topstitching highlights the scrub top and prolongs the useful life. Banded v-neck and back yoke flatters the design, while stretch twill fabric ensures a comfortable fit. A chest pocket with bungee loop, two side pockets with large space, and a sleeve pocket with pen loops provide ample, organized storage. 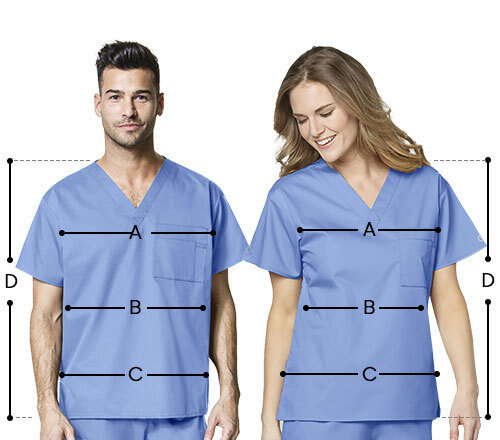 Q ) Does it have pockets near waist or is it a straight cut scrub ? Q ) Does it have side pockets ?